It’s time to treat your super mom this Mother’s Day. SPEND, SHARE, TREASURE, and ENJOY timeless moments worth remember with her at Espacio Verde Resort. Spend timeless moment with your mom. 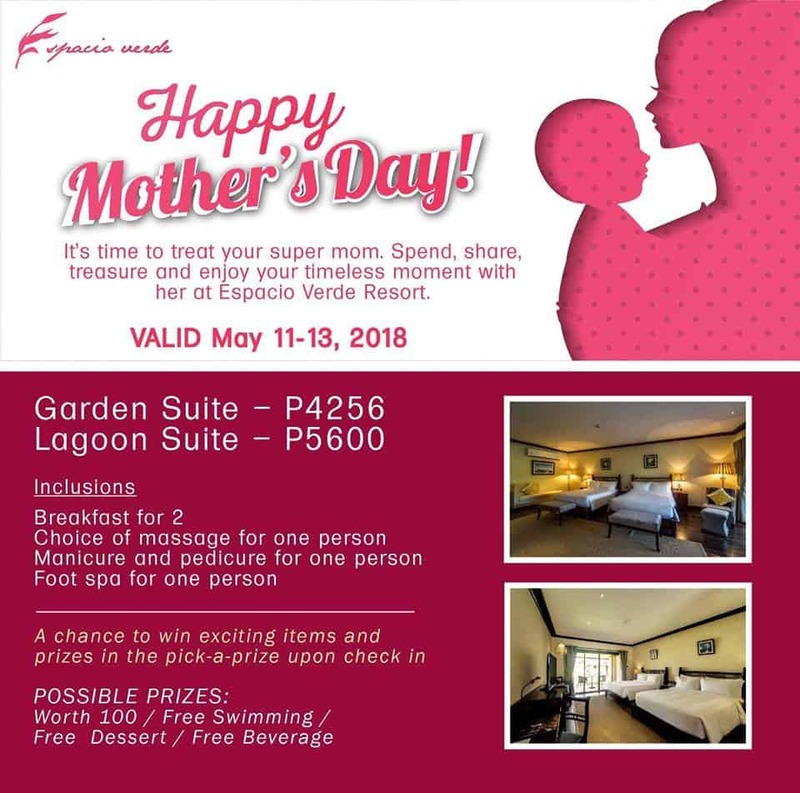 Stay with us with this relaxing mother’s day room package. 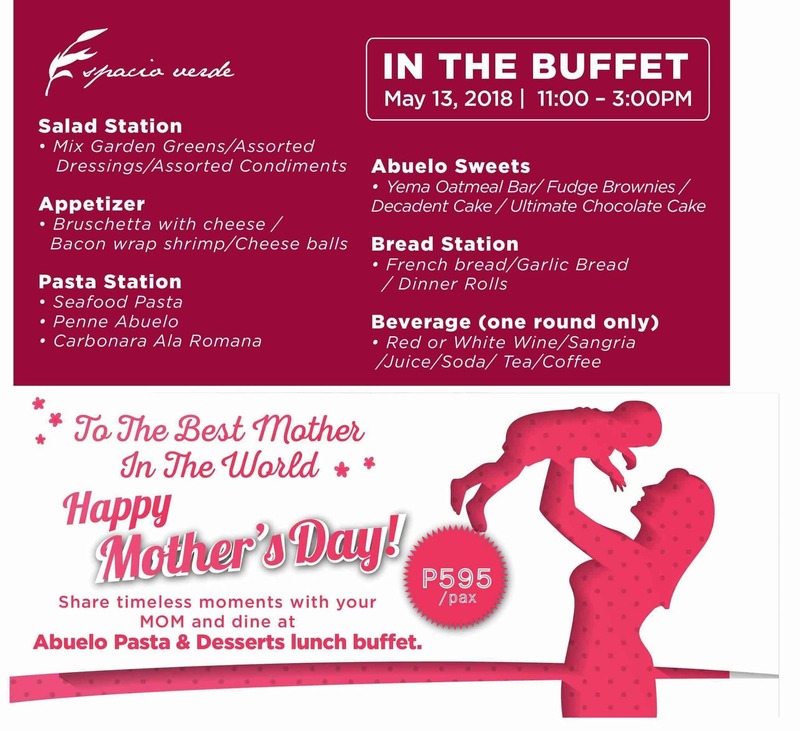 Share timeless moment with your mom and dine in at Abuelo’s pasta and desserts lunch buffet for Php 595.00 per head only. 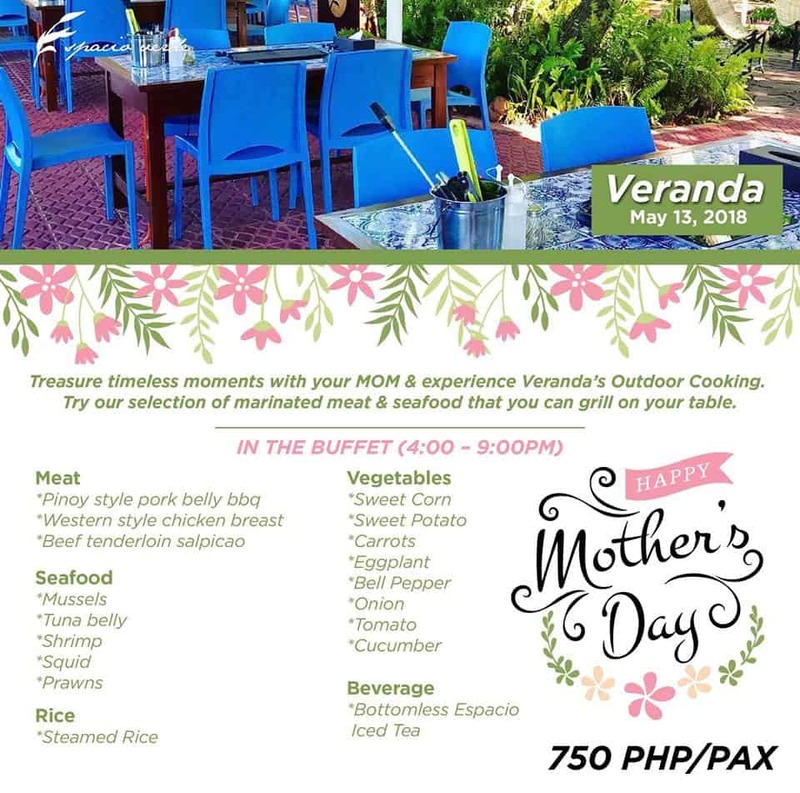 Treasure timeless moment with mom and experience’s Veranda’s outdoor cooking. Try our selection of marinated meat and seafood that you can grill right on your dining table for only Php 750.00 per head only. 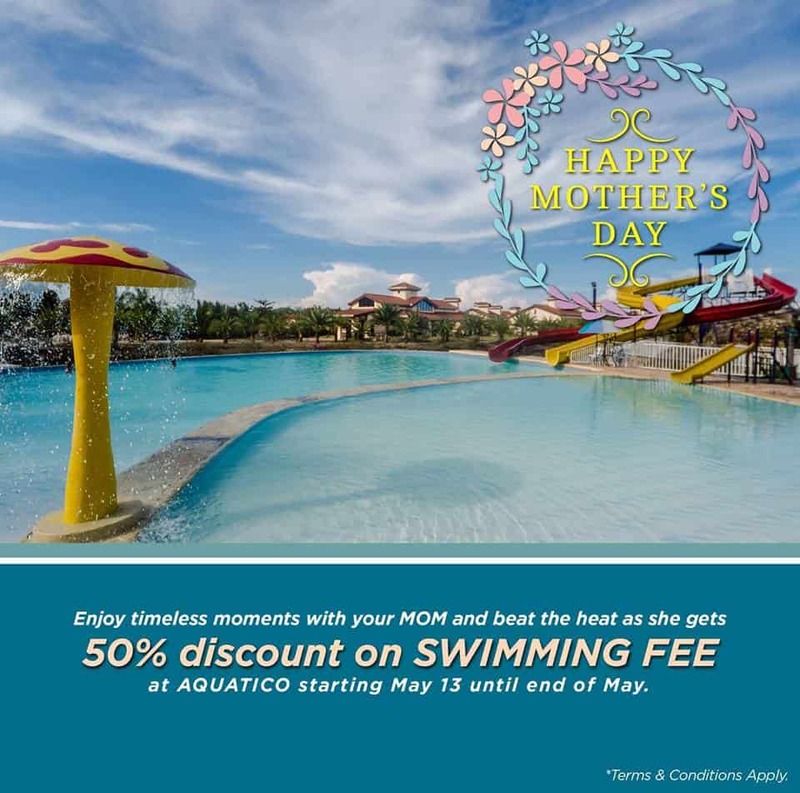 Enjoy timeless moment with your mom and and beat the heat as mom’s gets a 50% discount on swimming fee for the whole month of May 2018.